The only item i bought from KJ. Retailing at $29.90 before discount. my first tribal clothing...definitely gg to wear this as a dress, top & bandage skirt. so versatile!! Dress is hugging, fits me just nice. LOVES the cut in shoulder part. Inner lining attached, this no visible VPL (partly is becos the tribal designs make VPL less obvious). MP is launching this item tomorrow, hope my review will help girls out there who is interested in purchasing this top. Size S fits me just nice overall (ptp, waist, length). even though the top is a little tiny winy "choking" for me near the neckline, the back of the neckline is a self-tying knot/ribbon type, so i think one just has to tie it looser to make it less choking. No inner lining attached, but it is not very sheer due to the textured material. 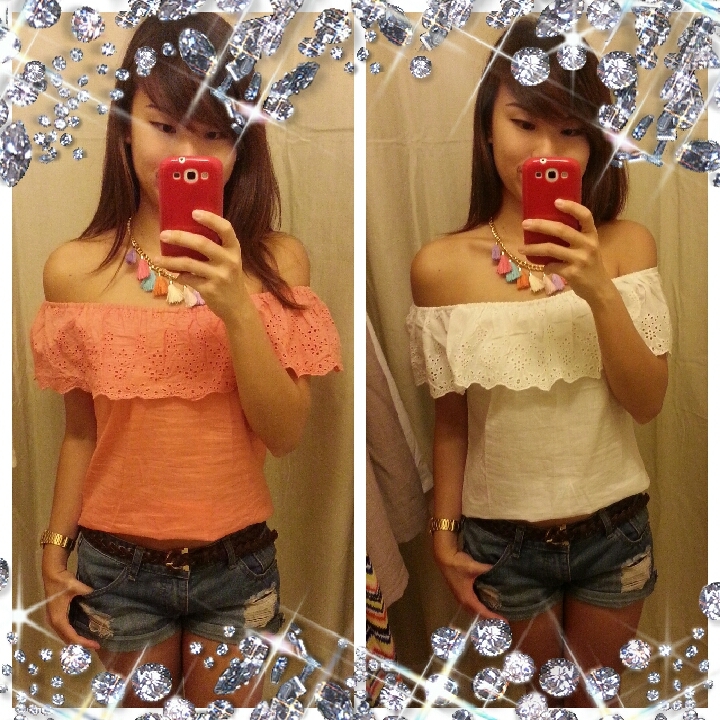 LOVES clothing that reveals the shoulder area :) retailing at KJ for $28 if im not wrong. however, when i saw the material used for this top, i was utterly DISAPPOINTED!! WHYYY COTTON??? I HATE MY CLOTHING THAT IS OF THIS KIND OF COTTON COS NOT ONLY IS IT THIN, IT CREASE EASILY TOO :( MAJOR SIGHZZZZZZ :(((( but i LOVES the design!!! retailing at KJ for $31.90.